For our Arts & Entertainment clients, nothing is more important than selling tickets. To help tell the story of their first new The Nutcracker production in over 20 years, the Atlanta Ballet engaged Ideabar to create a dynamic and compelling advertising campaign. A breakthrough performance like this – with state-of-the-art technical and production elements – means the Ballet was faced with higher sales goals than they’ve ever had before. Luckily, we were up for the challenge – we love helping clients sell tickets and reach their goals. We started in the fall of 2017 with branding the entire production, beginning with designing The Nutcracker logo and title treatment. 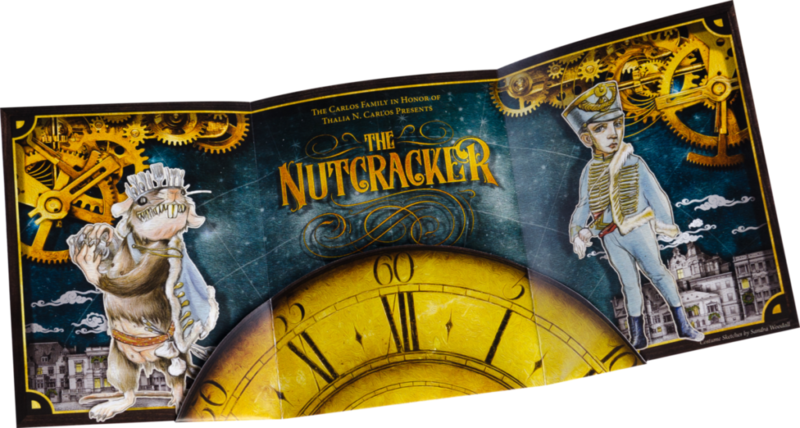 We followed that with a creative campaign that incorporated themes of time and space, as well as iconic Nutcracker characters. Since this was the inaugural production, we didn’t have any photography to work with, so we used costume sketches and custom artwork to create a magical storybook setting. We are often challenged with thinking outside the box when it comes to creative expression, and our team prides themselves with coming up with unique ways to tell a story that are unexpected and distinctive. The story we had to tell was a big one, so in January 2018, we began reaching out to the Ballet’s VIP patrons, board members, and subscribers through a series of direct mail pieces. In May, we worked with the Ballet to host a media preview event, for which we designed a printed and electronic press kit, promotional video, step-and-repeat, and snow globe giveaways. By August, the Ballet had experienced a 43% increase in sales year over year. By September, they were off to an amazing start with over $1,000,000 in tickets – the earliest ever to break one million dollars in sales. 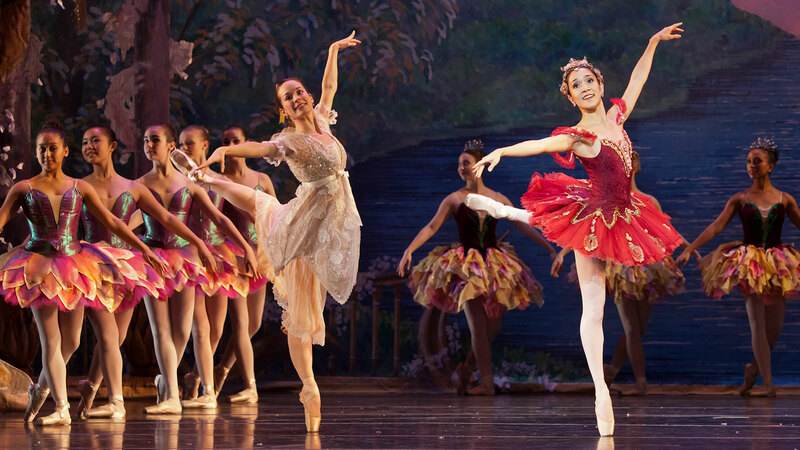 By unveiling the Ballet’s Nutcracker story bit by bit, over time, we were able to create the anticipation and demand that directly led to ticket sales. Having a compelling story to tell isn’t enough. We help clients unfold their stories at a pace designed for maximum impact – whether they have one month or one year to promote their event. And budget permitting, being able to tell that story across multiple channels is key to driving sales. We think it’s about time for Atlanta to experience the full Nutcracker story, and we’d like to help you tell yours, too.